With more and more consumers reluctant to pay the high markups that are inherent to many wine lists, BYO has become more prevalent than ever. Restaurants tend to mark up wines anywhere from 2-4 times the retail price that you will find at your local wine shop, not to mention the mark up from their cost. While the convenience and selection is well worth the price to some, others prefer to select from their own collection then the restaurant’s wine cellar. Below are 5 simple rules to help determine the appropriate scenario to bring your own bottle and some guidelines for restaurant etiquette if you choose to do so. Free is for me! – If there is no corkage fee, than there is no reason NOT to bring your own bottle. Even if restaurants charge a nominal (under $10) corkage fee it still makes all the sense in the world. You could choose to bring a moderately priced bottle and it will still be a lot less at your local wine shop then at the restaurant. Big names = Big Corkage Fees – If you are going to a top tier steakhouse or a popular French bistro, you are probably looking at a corkage fee of $35-75. For these eateries you’re probably better off sticking with their wine list. Make it worthwhile – You certainly could bring an inexpensive bottle, but that would defeat the purpose. Mark ups are typically higher on the reserve selection wines, especially from older vintages, so the better bottle you bring the more you are saving. Tip on the service – The server should provide the same service on the bottle of wine whether it is purchased from the restaurant or not, so be sure to include something in the tip for that bottle. A good rule of thumb is to multiply the retail cost of the wine times 2 or 3 and add that to the total bill before calculating the tip. Buy an additional bottle from the wine list – If you’re dining with a large group, doing this shows you appreciate their hospitality and would like to thank them for it…that is of course if you are enjoying the meal and the experience! Having two children under 5, I have found that my list of restaurant options in Westchester has significantly dwindled. 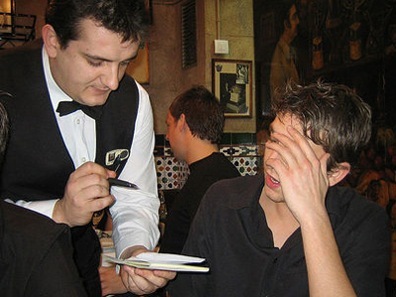 To go out to a nice restaurant with the whole family is just not worth it as it tends to frustrate just about all involved…from the kids, to my wife and I, to other diners and possibly even the staff. I guess that’s why places like Applebee’s and Chili’s are so popular. But if you are not into the whole chain restaurant scene but still want to enjoy a quality meal out with the family in a judgement free zone, then I have found the place for you… The Quaker Hill Tavern. Located in Chappaqua, but close to Mount Kisco, this family owned, traditional style tavern really has it all. Plenty of craft and standard beers on tap, with rotating seasonal brews and the freedom to taste a few before deciding on your pint of choice. A simple menu that offers a plethora of options for adults, kids, meat lovers, vegans, hedonistic food mongers or those looking to keep it healthy. The wine list is small, but this is not a place to go for a great glass or bottle of wine. However they have enough completely decent by the glass options in red and white to keep everyone happy. The food is really solid across the board and I have yet to have anything I didn’t like. The burgers rank up there with the best in the county, and the wings are dynamite as well. My wife swears by the turkey burger and my buddy can’t go 2 weeks without his QHT buffalo chicken sandwich fix. Lastly, the service is everything you would hope for when bringing the family out to dine. 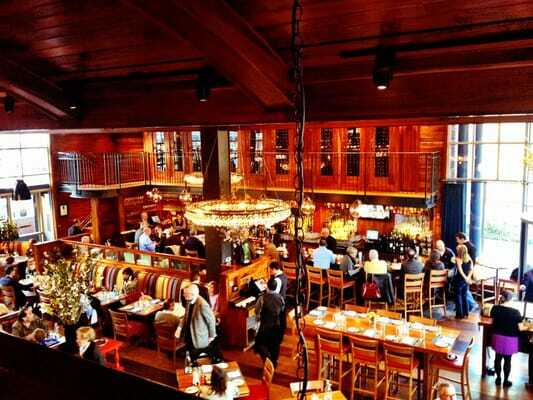 Erin, the manager, and the entire staff are super accommodating and completely understand that the adults are looking to enjoy a meal out where the kids can be a little loud and loose. And after a few drinks, the adults start getting the same way. So if you desire a nice quiet meal at a local bar, don’t come here as it gets a little hairy. But if you are looking for some tasty eats, delicious beer on tap and an ultra family friendly environment then you definitely want to check Quaker Hill Tavern out….I’ll probably see you there!